Back when I wasn’t doing real well and my health was poor, it became an obsession to create a place full of life and calmness. 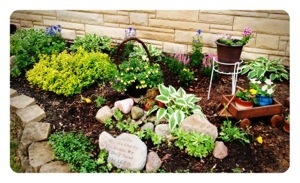 I made a garden in the front yard where there was none. 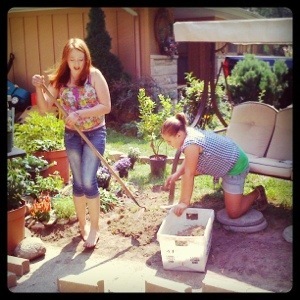 I used the girls to dig out grass and do the backbreaking work of creating space. Then I got my hands into that precious soil and began to create. Gardening has always felt like praying to me. Every moment was time spent communing with God. I can’t help but feel that my careful placement of flowers into the spaces they would best flourish was not unlike Gods in his placement of us, in me. Some need more sun, others more shade. The pruning process is hard at times, knowing that some branches and stems still have some life left, but removing them will allow the whole plant to gain a new start and better focus and clearer direction. Weeding is a constant need, or it becomes tough to distinguish the real flowers from the impostors. 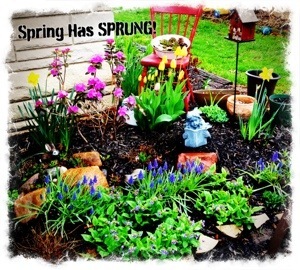 It takes work to keep the garden up, but the rewards are amazingly plentiful! 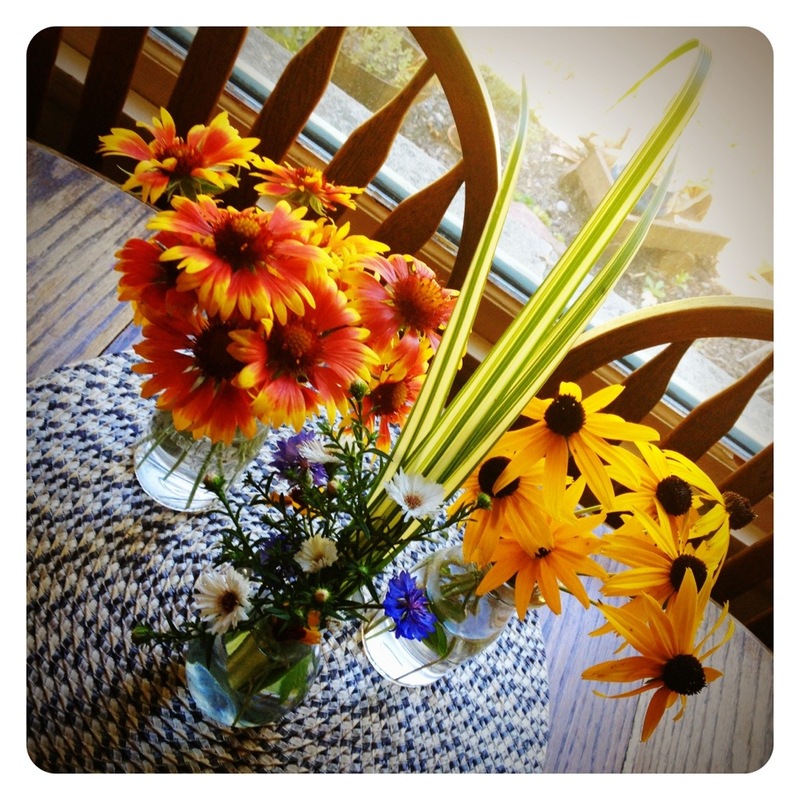 Today I brought in flowers for my kitchen and sent some home with a friend. They are little rays of sun, snippets of smiles. To be able to simply walk out my door and snip a few is the reason I worked hard planting. I knew eventually this moment would be the payoff, and many more days like it. My swing sits in the middle of all this beauty and its my favorite place to disappear to. I love to lay on the swing and soak up the scents around me with my eyes closed. The breeze plays across my skin as the sun warms it through the awning. Its amazing. Sometimes you have to put forth a lot of effort before you see the rewards, but the faithful work is fruitful and the smiles it imprints upon my heart daily now are beyond worth it! I’m sending you smiles across the miles today. Here’s your bouquet!